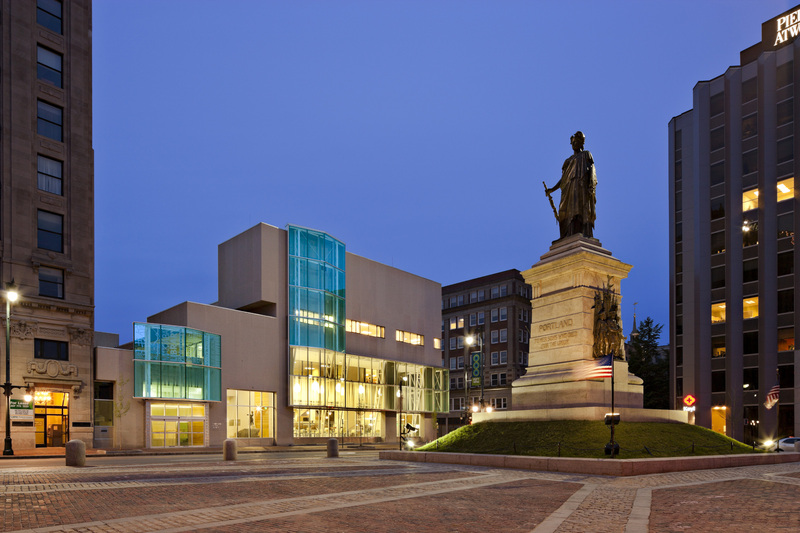 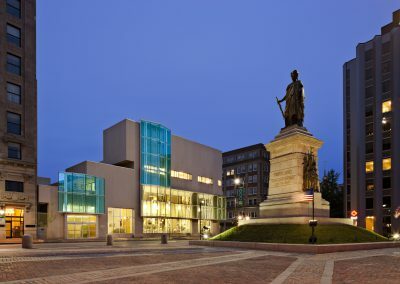 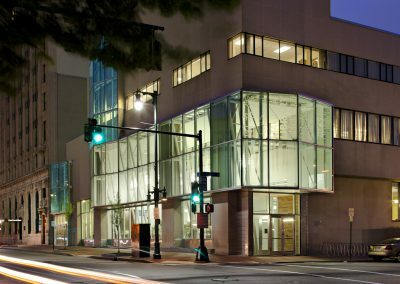 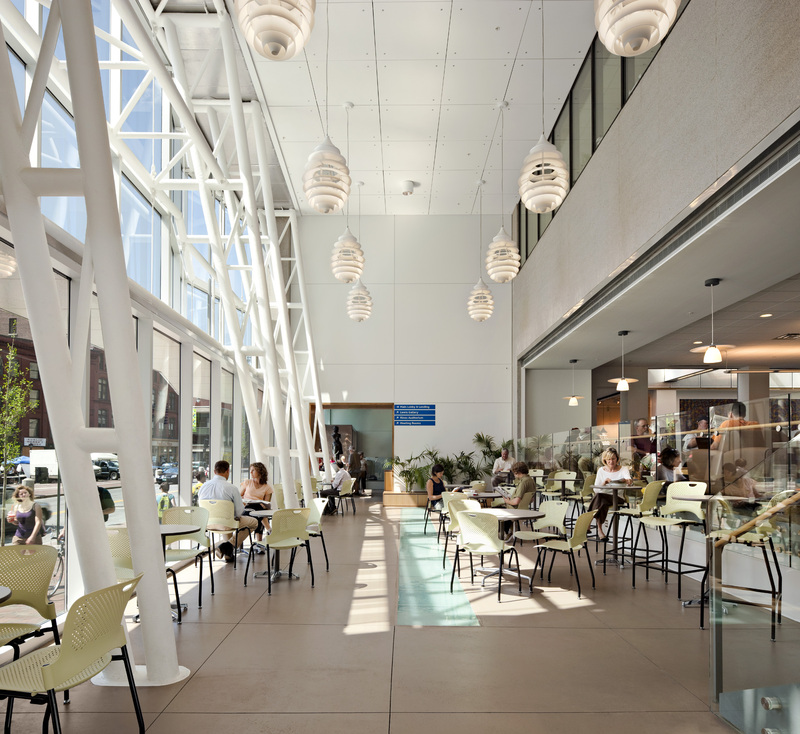 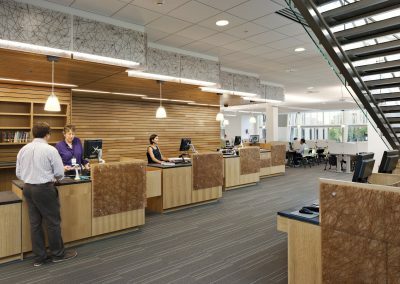 Portland Public Library | Allied Engineering, Inc.
Allied Engineering (AEI) has completed the mechanical, electrical, plumbing and fire protection engineering design for Phase I renovations at the Portland Public Library. 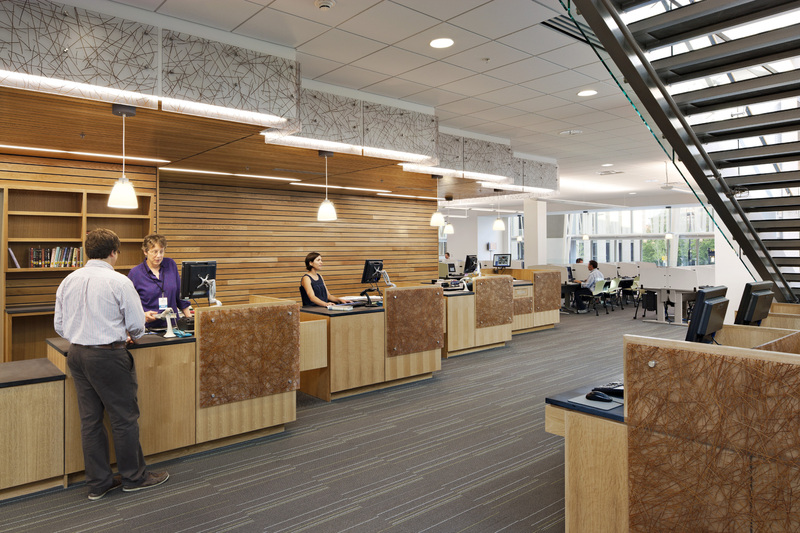 The work included a 43,400 s.f. 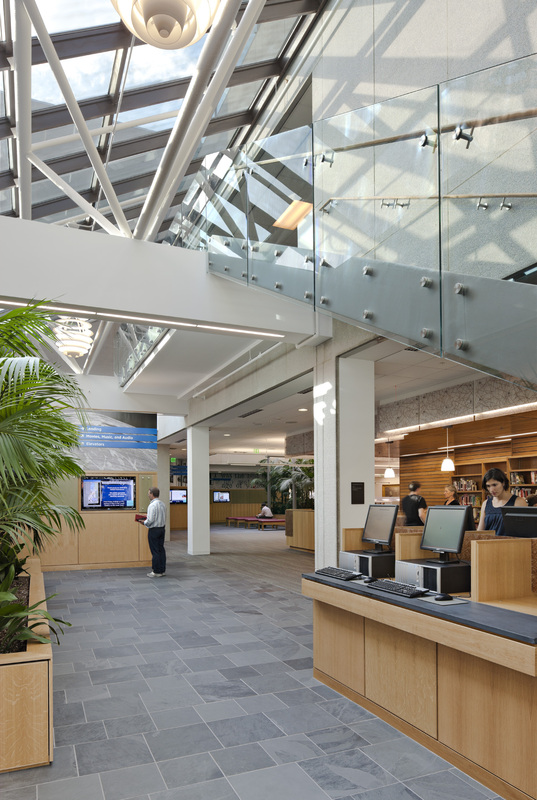 addition and renovation at the main branch in Monument Square. 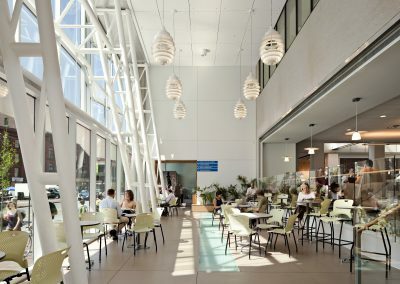 The project includes extensive renovations on the main and lower levels, infrastructure upgrades, and expansion of the Rines Auditorium, new café and exterior redesign. 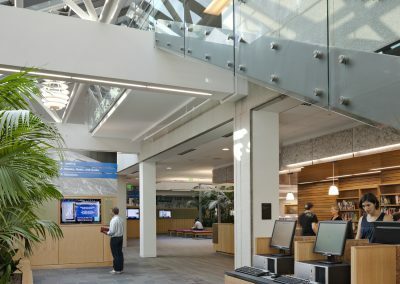 Some of the engineering systems include high-efficiency hot-water baseboards and new high efficiency lighting fixtures which greatly reduce the electrical load on the building. 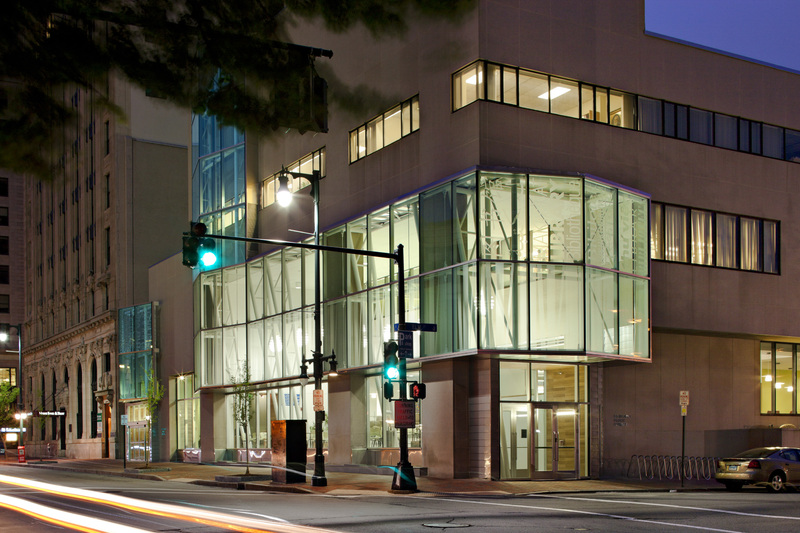 This project was featured in Maine Home + Design Magazine June 2010 Issue.